Covenant Relationships: What do you do when your Parents-in-law are trying to run your family. 3. No matter what, Maintain Mutual respect. You must understand that Parents-in-laws are older than you. You must ensure you accord due respect. You should never be heard shouting at them or publicly disgracing them. Respect begets respect. If you show them respect, they will show you respect. Now even though they do not, do NOT disrespect them. It would be hard but put on your Godly robe and let the Christ in you speak. 4. Get real on your expectations. Your parents have to love you because they gave birth to you. Your parents-in-law do not have to. Deal with this. 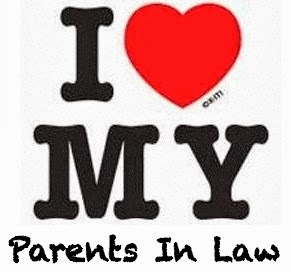 Your parents-in-law would not necessarily have to follow the same rules you expect from your own parents. You need to know when to give in on little issues and negotiate the major issues. Learn to see the situation from your in-law's point of view. And even if you don't agree, act like a big person. 5. When it comes to your children....One area I find that couples disagree with their own parents is the treatment of the couples' children. This can cause major problems between women and their mothers-in-law. Each couple should ensure that they communicate the way they would like their children to be treated. No matter what you and your spouse are more powerful than you think when you are united. No one can enter your family circle to affect your happiness. It has to do with what you allow. Offence will surely come whether we expect it or not, whether we are prepared for it or not! Our attitude towards offence determines the effect it will have on us.